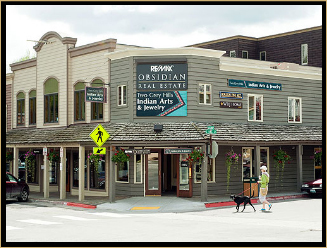 Locally owned and managed, RE/MAX Obsidian Real Estate, a member of the RE/MAX Global Network, is a boutique real estate brokerage specializing in the local Jackson Hole residential market. Our focus is on our friends and neighbors, and we strive to be the experts in the community where we work and play. Part of the company’s success during challenging economic times as been a focus on the local market and offering community-minded services like first-time homebuyer workshops and classes to help coach distressed homeowners on short sales and other options other than foreclosure.